New software lays the tracks for HDA’s expansion into more multiroom entertainment categories. 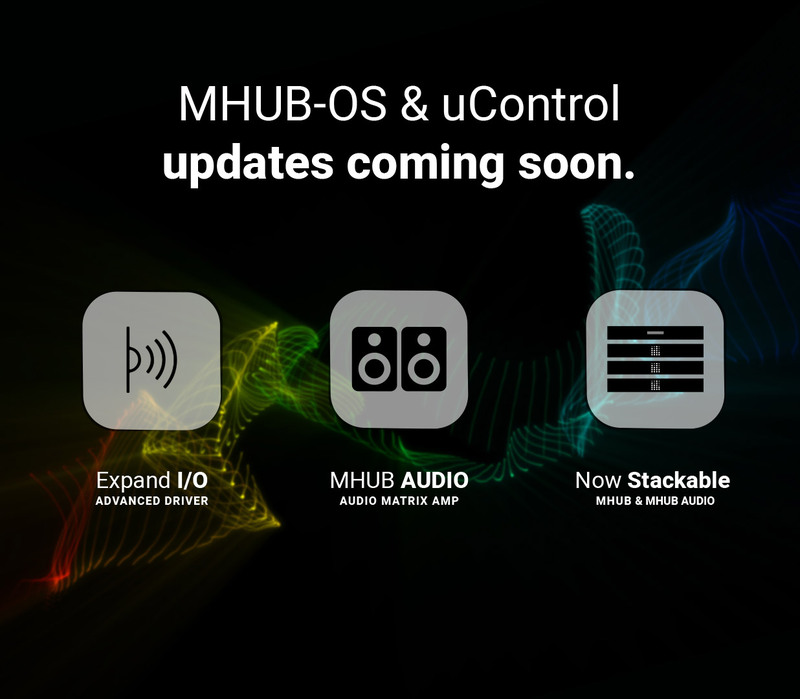 On October 8th HDANYWHERE (HDA) release MHUB-OS 8.0 with uControl 2.0, the latest version of its operating system and universal control app as a free software update. OS 8.0 brings a number of new features to MHUB and unlocks value-added functionality for existing installed systems. uControl 2.0 makes app-based control of multiroom media easier than ever. The first-boot initial system setup process can now be performed entirely via the uControl 2.0 app. A new and expanded open API allows third-party controllers to utilise the multi zone IR pathways as IO port expansion. New Control4, RTI, et al. IP drivers featuring auto discovery, self healing, full two-way control and feedback - including matrix switching and IR expansion provide an improved pro integration experience. Reformats the core software architecture in readiness for new HDA devices and accessories. Setup and control a stack of multiple MHUB V&A system components (such as a video matrix, audio matrix-amp(s) and future devices) amalgamated into a single project from within the app. A more refined and simplified interface makes controlling entertainment throughout the whole-home more immediate and intuitive. Volume can now be controlled using the hardware buttons on phones/tablets. Adds support for using an MHUB AUDIO in standalone mode. Perfect for audio-only multi zone scenarios; e.g. in a cafe, bar or restaurant. If your app automatically updates to uControl 2, it will disconnect from your MHUB system as standard - this is routine. When you load uControl, it will inform you the app has been updated to the latest version and it will check to see if your MHUB is also up-to-date. In most circumstances, your MHUB will require an update. 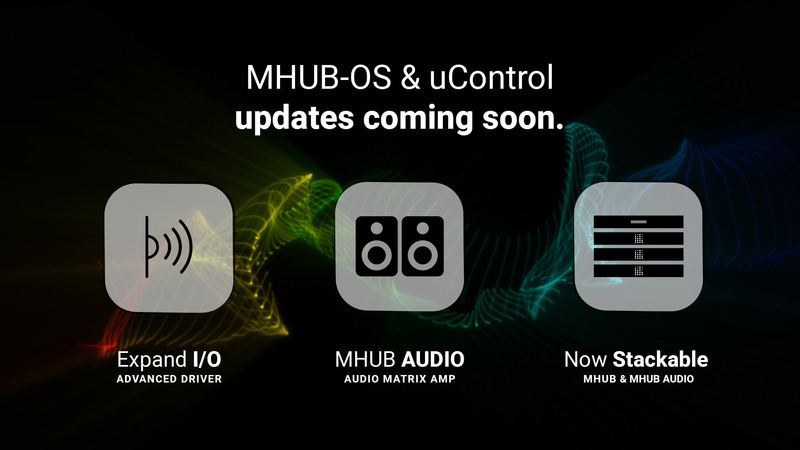 Follow instructions within uControl and complete the MHUB-OS update.